Starring: Taraji P. Henson, Octavia Spencer, Janelle Monáe, Kevin Costner, Kirsten Dunst, Jim Parsons, Mahershala Ali, and more. There are plenty of films that come out every year that say they are based on a true story, or true events, etc. Sometimes they hit home well with audiences and sometimes they do not. This review focuses on another film based on a true story, that film is called ‘Hidden Figures’. Here we have the story of three women, Katherine Johnson, Dorothy Vaughan, and Mary Jackson as they go through the challenge of working their way up the ranks in their respective fields in NASA. Now is ‘Hidden Figures’ a titan in its class of “based on true story” films or will it be another film to fade from audiences memories? Time for it to get Oberrated. ‘Hidden Figures’ follows the story of three African American women during the time of the 1950’s and 1960’s as they work for NASA during the time of John Glenn’s Earth orbit. These three women are Katherine G. Johnson (Taraji P. Henson), Dorothy Vaughan (Octavia Spencer), and Mary Jackson (Janelle Monáe). 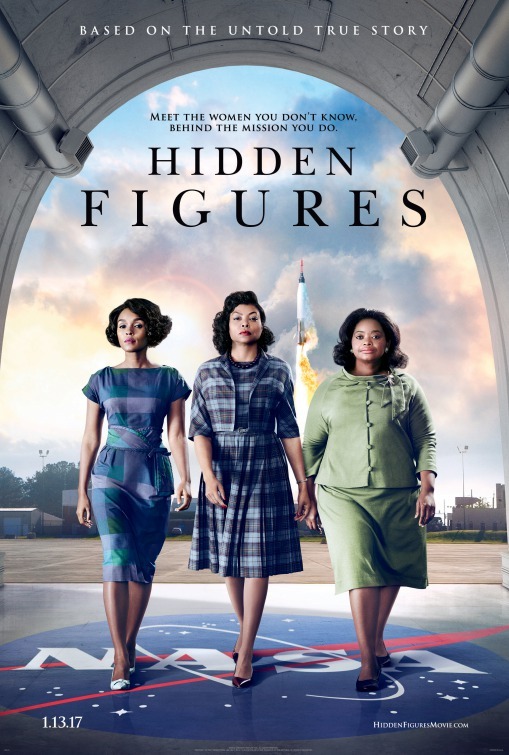 As the story portrays the challenges these three women faced as they rose through the ranks of NASA, it went beyond the simple challenge of earning promotions but also the challenges of rising through the ranks and even just going through everyday motions as a female and also as an African American during the 1950’s and 1960’s. To answer my question brought about in the intro of this review, ‘Hidden Figures’ falls in the ranks of being a titan in its class. This film brings on an array of emotions throughout the duration of its run time. From delightful happiness, to laughter, to anger, and more. Overall though, it was a pure delight and feel-good film to witness and enjoy. The story is empowering to see what these three women overcame during their life and stopped at nothing to achieve what they set their minds to. For a dialogue heavy drama, I was impressed by how attention-grabbing the story of ‘Hidden Figures’ was. Usually, I have a tendency to lose focus on dramas but this film did such a great job at delivering a captivating performance of the story through the multitude of emotions it presented to the audience… The cast of ‘Hidden Figures’ all are such powerhouse performances during their respective screen time. Easily, my favorite was Taraji P. Henson, the “star” of the film, so to speak, all though surrounded by other equally powerful actors and actresses. Alongside of her, Kevin Costner had a great performance and very memorable one on top of it for me. If there were any negatives I can truly put together for ‘Hidden Figures’, it may be that I feel Janelle Monáe’s character was a bit underplayed with the screen-time given to Taraji’s and Octavia’s, but it was still an enjoyable performance to witness. A rightful film deserving of its 2017 Oscar nominations. ‘Hidden Figures’ is a delightful film to watch with a story that captivates its audience through an array of emotions. A highly recommended film from Oberrated.